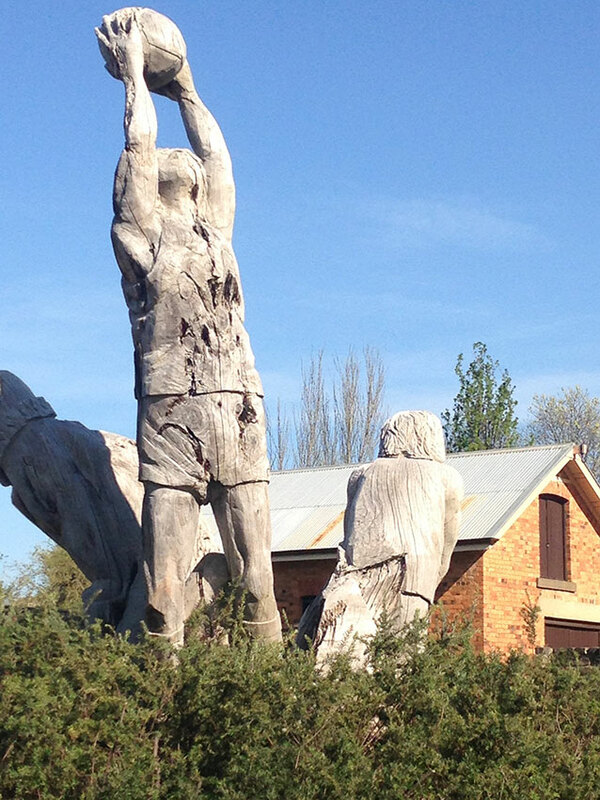 The home of the Bendigo Football League team the Gisborne Bulldogs, Gardiner Reserve was named in honour of a local family in 1988 but has hosted footy ground for more than a century. 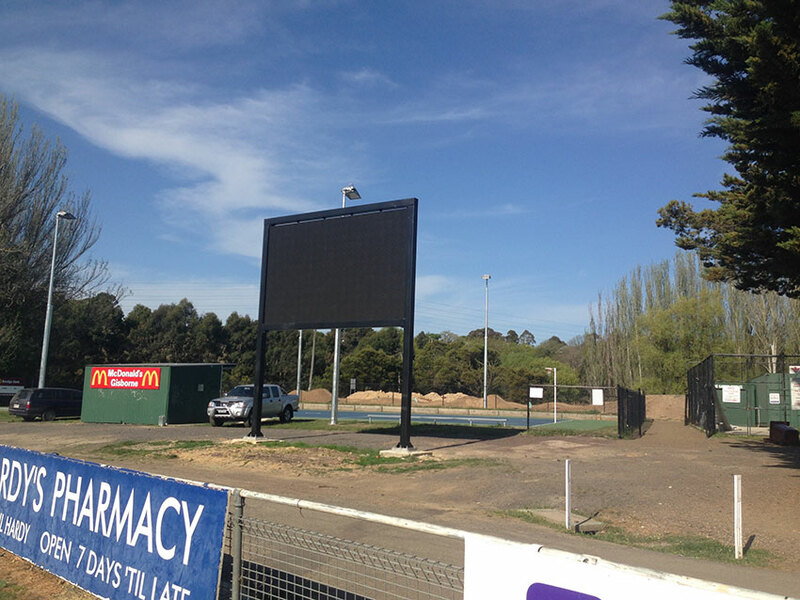 A community project with State Government funding was behind a recent upgrade that led to improved facilities, a work of art and, gulp, an electronic scoreboard. The Bulldogs won just six games in 2015 and suffered a post-season setback when Jeff Gieschen first accepted and then stepped away from the coaching position for 2016. 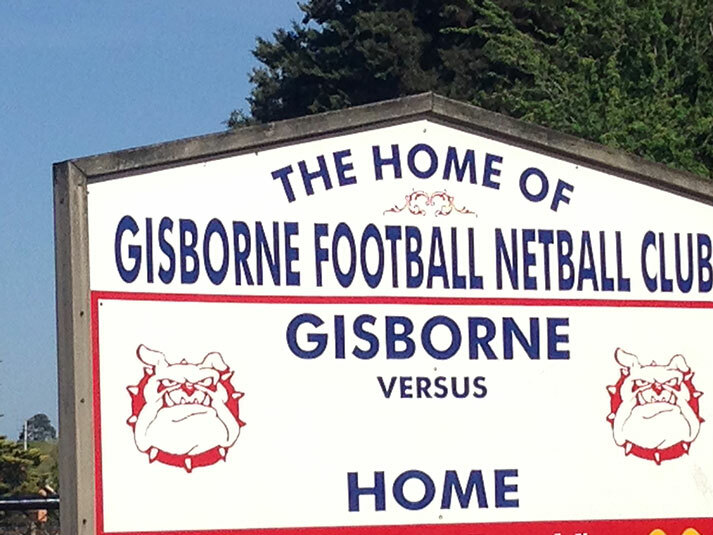 Gisborne Football Club goes back to 1879 and they’ve been in the BFL since 2000 with premierships in 2002. 2003. 2005 and 2006. We predict they’ll be back near the top soon. 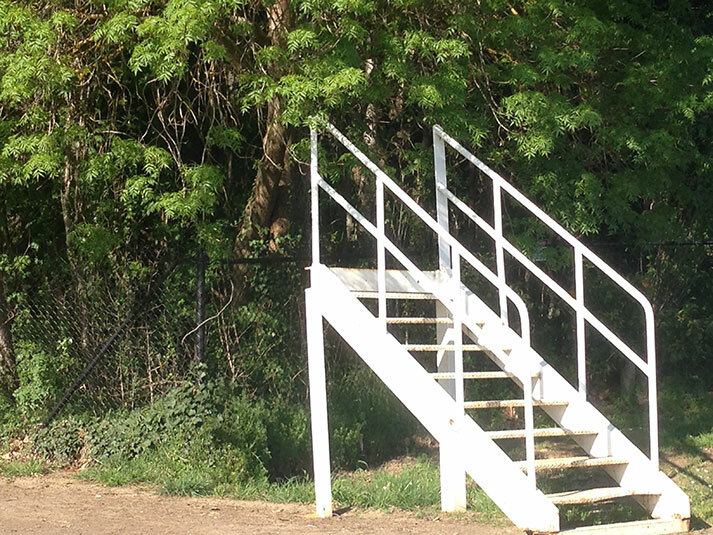 The stairs to the old scoreboard?